Dr Zakria Zakar has been appointed new vice chancellor, University of the Punjab, by Punjab Governor/Chancellor. LAHORE: Punjab Governor Malik Rafique Rajwana has appointed Dean Faculty of Behavioral and Social Sciences Dr. Zakria Zakir as Vice Chancellor University of the Punjab after accepting the resignation of former VC Dr. Zafar Mueen Nasir. Born in Sialkot downtown, Dr Zakria got his religious education from Darul-Uloom Shahabia Darsgah. He studied Arabic and Persian languages, Quran, Hadees, Tafseer and Dars-e-Nizami there. “My all education is almost from there where our great scholar and philosopher Allama Iqbal studied. I did Matriculation from Scotch Mission High School Sialkot, then I admitted to Murray College Sialkot and completed Intermediate and graduation in 1986 from there. Later, I came to Lahore and completed MSc Sociology from PU and secured second position in the university examinations. I competed for the Public Service Commission examination and was appointed as project Manager in the Local Government and Rural Development Department. In 1991 I resigned from this job and joined PU as Lecturer. Then I went to Germany and completed PhD with distinction from Bielefeld University in 1998. The Educationist: Sir, please do tell our readers about your professional achievements. Dr. Zakria Zakar: Immediately after doing phd, I was awarded Robert S. McNamara Fellowship by World Bank, Washington DC. In this fellowship I got the opportunity to work on poverty reduction, human capacity building and intersection between human rights and social development. My research work for this fellowship was published in international Journal of development. Based on my research on human rights and health my two books were published. First book titled: Coexistence of indigenous and cosmopolitan medicines in Pakistan published by Verlag Hans Jacobs, Lage Germany (1991). Second Book titled “aid Culture and Body politics in Pakistan,” was based on the data collected by WHO findings. It was also published by VHJ in 2003. So far I have published more than 40 articles in impact factor journals, 20 articles in HEC recognized journals. I have conducted 35 research projects sponsored by national and international organizations. My two books are published by European publishers, two by local publishers, five book chapters and 10 chapters in edited volumes. Based on excellent publications, I was awarded Senior Fulbright postdoctoral Fellowship and I went to State university of New York, Stony Brook University (USA). During my one year stay there, I extensively published about challenges of globalization in 21st century, especially in the area of health. In 2004 I was awarded Social Sciences Research Council USA Fellowship for conducting research on poverty reduction in Pakistan. The research got international recognition and it is considered greatly relevant for policy formulation in Pakistan. this research also produced three impact factor articles. In 2005 I was awarded Alexander Von Humboldt Fellowship to work at University of Bielefeld on Violence and Development in South Asian countries. In 2008 I was offered DAAD Guest Professorship in Germany where I taught courses on public health, medical sociology and social anthropology. The Educationist: How many research articles and books you have published? Dr. Zakria Zakar: So far I have published more than 40 articles in impact factor journals, 20 articles in HEC recognized journals. I have conducted 35 research projects sponsored by national and international organizations. My two books are published by European publishers, two by local publishers, five book chapters and 10 chapters in edited volumes. The Educationist: How many PhD and MPhil scholars you have produced? Dr. Zakria Zakar: Thus far I have produced 25 PhDs, 36 Mphil and hundreds of MSc students. moral and institutional strengths of a nation. For this, civil society and government must invest on higher education. When I say investment, it is not only in terms of money, it is investment in protecting academic freedom, autonomy and independence and rewarding scientists and scholars for their innovative thinking and truthful analyses. The Educationist: Since you are working in a very senior academic position, please highlight top three educational issues of Pakistan. Dr. Zakria Zakar: Top three issues are: 1. Development of dynamic, competent and honest leadership, 2. Developing culture of free inquiry and protecting academic freedom, and 3. Provision of resources and societal support for establishing internationally competitive universities. The Educationist: How can we achieve these three goals? Dr. Zakria Zakar: 1. Getting competent and honest leadership is only possible through observing strict merit policy at all levels in all organizations, 2. Respect and reward for innovation, creativity, honesty and hard work, and 3. Higher education is internationally competitive and not an isolated institution so the state and society must provide financial, social and institutional support to make the universities competitive at international level. The Educationist: In the wake of 18th amendment in Constitution, what is good and bad for higher education at provincial level? Dr. Zakria Zakar: I think it is a good sign that the Government of Punjab is providing sufficient financial support to the universities. The Educationist: Don’t you think that college sector is being ignored by the government? Dr. Zakria Zakar: I don’t think it is being ignored by the government but the structure of our intermediate and degree colleges is absolutely outdated. In all industrialized developed countries there is a concept of community colleges, which caters the needs of the community. Their local community provides resources and institutional support to the local colleges to get exceptional outcome of education. However, our college education system is highly centralized and insensitive to local needs, e.g. 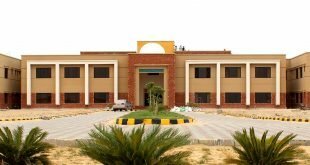 a college in Rural Rajanpur is regulated and supervised by the Civil Secretariat Lahore, is less likely to produce good results. The Educationist: What is your opinion about student unions in universities? Dr. Zakria Zakar: Student power politics and their backing by the political parties reflect that they have no respect for higher education and want to use universities as their nurseries to prepare their political power base. This is very unfortunate and shameful, as universities must be free from such interference and influence. The Educationist: What you say about teachers’ unions? Dr. Zakria Zakar: Teachers politics also reflect that a robust and stringent merit system does not exist in the appointment and promotions of teachers. Since our system is flawed and weak, some teachers want to use political power to achieve their career goals. One should condemn this way of getting success.